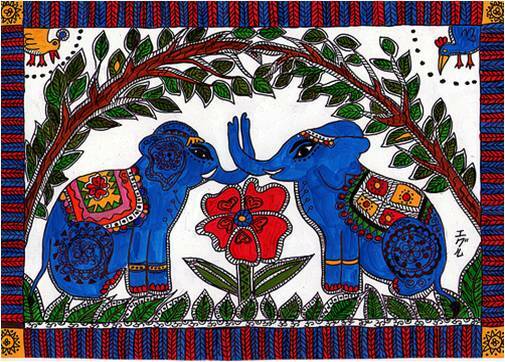 The other name for Madhubani is Mithila art. Both Madhubani and Mithila are names of locations in Bihar. 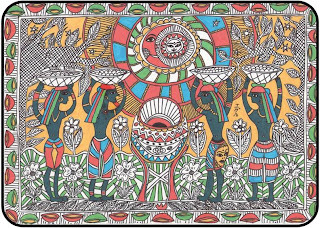 For the land being very infertile, Bihar government decided to promote Madhubani art and asked villagers to draw on silk and handmade paper using acrylics and poster colors. Madhubani paintings can often be seen in houses of the city people as a beautiful decoration item. 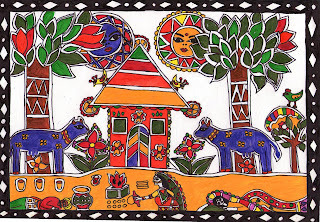 To make a Madhubani painting, they say, there is no need to be a professional artist. 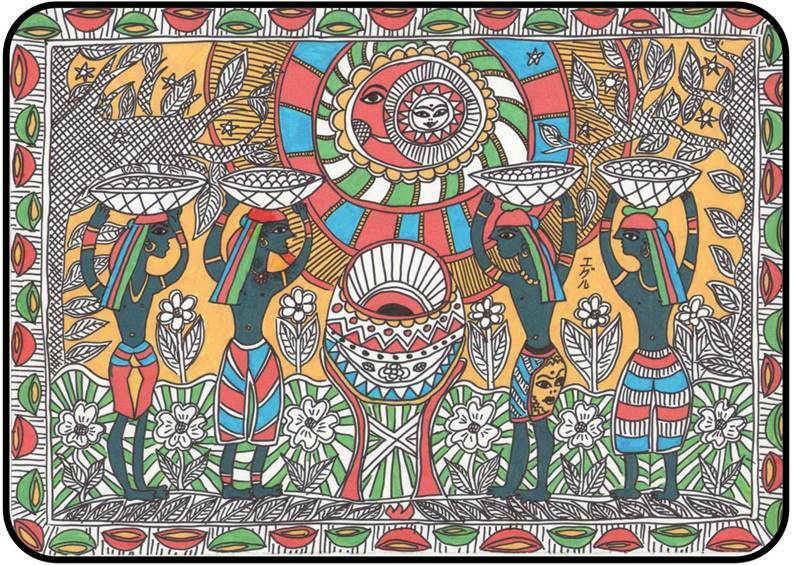 The best thing about these paintings is their simplicity, child-like shapes and designs. Colors used are usually red, orange, yellow, blue, green and brown. Each fragment would usually be heavily outlined using black dye. 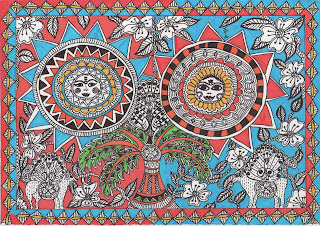 Madhubani painting usually has heavy borders. 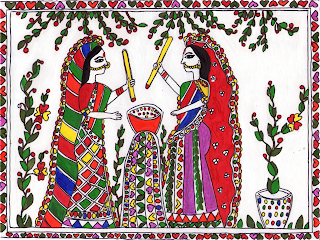 Madhubani art is a centuries old tradition and I love it for its simplicity, authenticity, folklore and the village and religious stories that they tell. 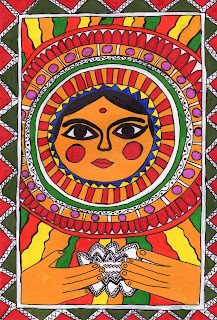 I have tried producing some of these Madhubani style paintings using white simple paper, acrylics and a black marker. This may not be authentic but I would love to learn the authentic way some day. 1. Draw borders and required design with the pencil straight on the paper. It should be clear and simple. Be clear about what you want to depict. You can tell the whole story in one painting. 2. Color required spaces with acrylic paint. The most common colors in Madhubani paintings are: red, orange, yellow, brown, blue, green and black. However you can usepink, purple and other colors to make it more colorful. 3. Let it dry for a day or two. Make sure it's not sticky anymore. 4. Take a small marker and make black outlines on the marks of the pencil lines that see through the paint. Make sure you make a lot of line work and you can add some extra on top of the colored areas. 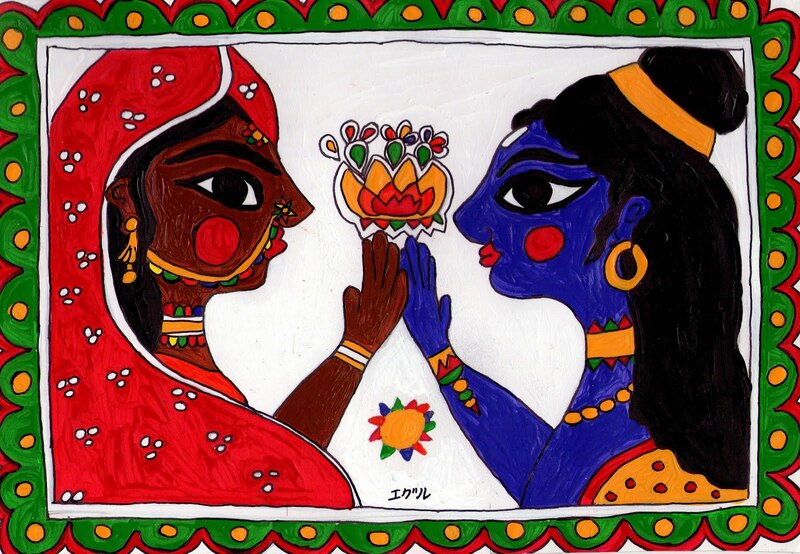 It is possible to do Madhubani paintings using oil and canvas. 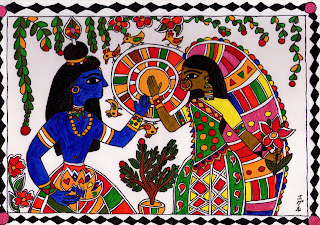 I have tried doing this but I don't really know whether I should call a Madhubani or Egyptian style painting. 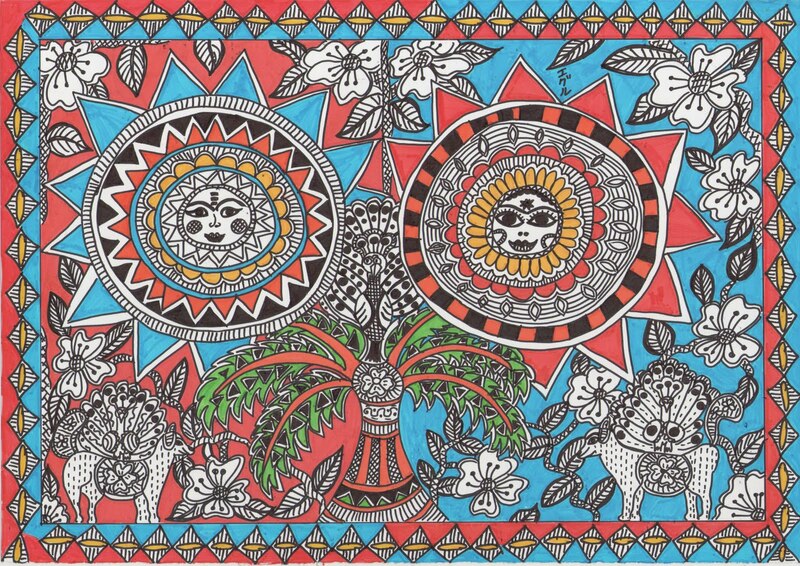 This drawing is made using only a marker and fell-tips. Only a time-pass, you know. 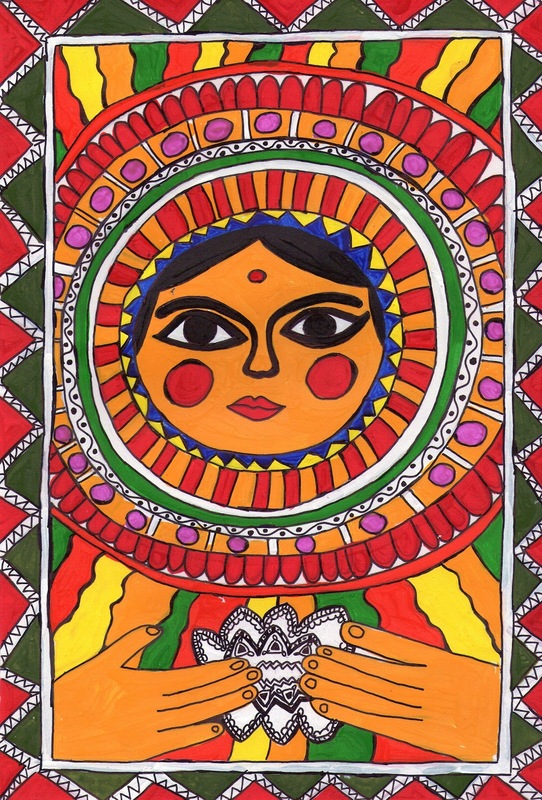 You have a nice blog Hridya! Yes, you can use my work for quilling. Have a nice day!